Wine is a free implementation of the Microsoft Windows API for the linux platform and it is used to run windows applications on linux. However it has limitations and cannot run all applications. Wine is included in the base repositories of distros like Ubuntu and Debian, so can be installed easily from apt. Search for wine in your package cache using the aptitude command. We are doing it on a 64bit debian system. Good, we found wine. Now install it right away. Now go ahead and install wine:i386 package. It will download around 90MB, depending on what packages are already installed on your debian system. As we can see, we just installed wine 1.4.1 Now in the application menu, somewhere you would find a Wine Configuration option. Click it and a window like this should popup. Now you can run the windows notepad application from wine. Just execute the command notepad from the terminal. 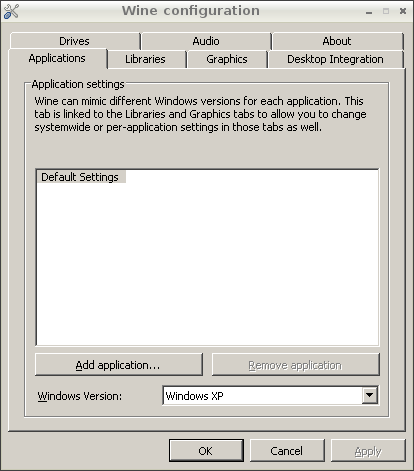 Winetricks is a gui script that can be used to install some windows applications on linux to be used with wine. It needs the zenity library to run. 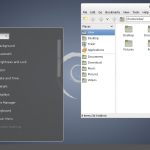 The zenity library allows to create gtk based gui dialogs from the command line or bash scripts. 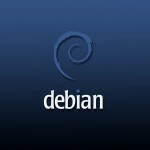 It might not be installed on debian by default, depending on what desktop system you are using. So first install zenity. It will popup a dialog box with instructions. Follow the instructions and install the application you like. The above command will list all the applications available. Follow this tutorial for more instructions on how to use winetricks from the commandline. We saw above that the debian repositories provide an outdated version of wine. The latest version can be installed from the wine website. Download the correct packages from the amd64 or x86 category depending on your system architecture. Next we shall install gdebi which can be used to install the deb packages. The dpkg command can also be used to install the deb packages, but it does not install the dependencies automatically. gdebi does this. Now, we shall use gdebi to install all the deb files downloaded in the previous step. However first we need to install a few additional packages. Note that if you installed wine from debian repositories previously, then you need to remove it first. Now launch the wine configuration window like before. It would prompt you to download gecko. Click OK to download gecko. This is used to render webpages in the applications. Fix this by installing the necessary packages. Now wine applications should start without any notice or messages. It installs the necessary packages from broken packages and attempts to fix broken dependency errors. Now you should have wine installed properly on your Debian machine. libwine-*, tried both the i386 and amd64 packages. 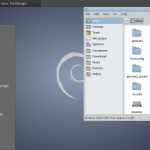 running debian wheezy 7.2 amd64. Thank you for a really useful tutorial. I wondered what was going on with Wine on Debian Wheezy, where it is apparently installed but not working. Someone on another forum which I googled referred to Wine being “a ghost on my system” on their Debian installation and there I got stuck. Now it’s working thanks to you. Its tutorials are very good. Thanks. Sorry, after i posted that i realised i wasn’t specific enough, but didn’t know how to edit it. In Debian Sid, there is Wine version 1.5.30, under the name wine-unstable.